The railroad industry is in the heart of new environmental and technological expectations. 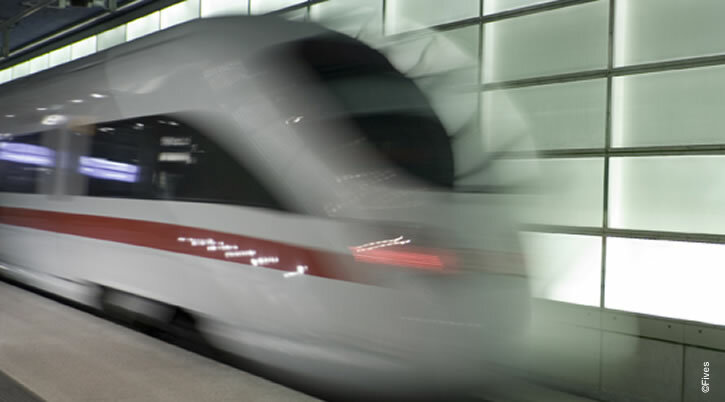 For 200 years, Fives has been involved in the development of the rail industry. To support the growing mobility of freight and passengers, an infrastructure manufacturer innovates and optimizes their process, ever faster. Fives designs milling machines with a high reliability, a rigid machining platform and a unique head design that easily performs high tolerance finishing operations. Fives supplies tailor-made solutions and ensures an optimal performance and improved availability of the installation. Fives produces vertical turning centers designed for high metal removal and the capacity to handle large railway wheels.